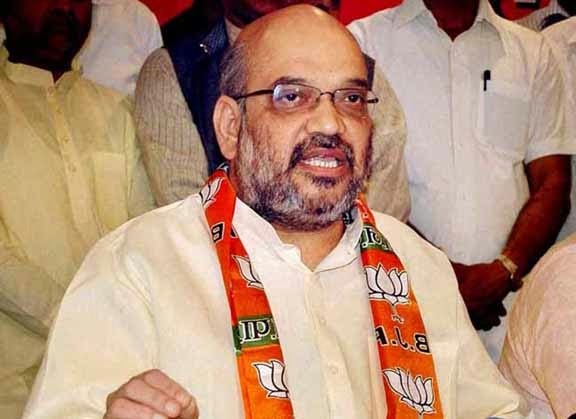 New Delhi : The President of Bhartiya Janta Party (BJP) Amit Shah will meet to party workers from across the country twice in every month at the party headquarters here to address their concerns and connect with them. BJP sources said Shah will meet party workers on first and third Mondays every month and address their concerns and grievances, as also make them aware of the ground realities. The move comes a day after RSS and BJP top brass held a coordination meeting to discuss the prevailing political situation, particularly in the wake of row over the new land bill and controversies surrounding the coalition government in Jammu and Kashmir. The move comes amid speculation that RSS had expressed its concern over a "disconnect" with its workers that also resulted in the party's debacle in the Delhi polls.